The final day at Disneyland Paris and an opportunity for a quick hour in the park before getting our flights home. Our last rides would be Star Tours & Buzz Lightyear Laser Blast. The park was fairly quiet and the lines were light. 2 quick rides and then back to the hotel to catch a taxi to the airport. Surely nothing could go wrong? However, not everyone travels with Jess! Usually, these final day blog reports are difficult to write. There isn’t usually much that happens and spending the day travelling to airports is hardly worth writing about. However, on this trip, Jess gladly provided the subject for our final day blog. Our final ride was Buzz Lightyear. Regular readers of this blog will be aware that this isn’t my favourite ride. However, I agreed to endure it and rode with Jess who I am pleased to say I comfortably beat. However, whilst coming off the ride Jess had an announcement to make. “What do you mean you think you dropped your phone? Where did you drop it?” I enquired. 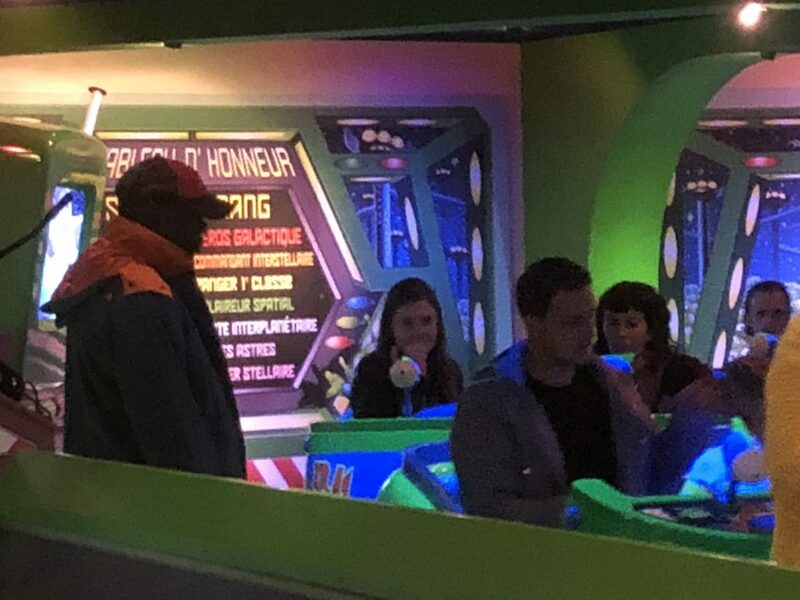 “Inside the ride, by the big aliens!” Jess confirmed. The fact that the phone was on her lap was an event itself. The phone is usually firmly implanted into one of her hands only getting put down for the occasional shower. It seems shooting aliens is exciting enough for her to need full use of both hands. Off we went to see a cast member to explain Jess’s little accident. A few minutes later Jess was boarding the ride with a cast member looking for her missing mobile. The ride stopped which another cast member explained meant they must have found it. However, a few minutes later Jess returned without her phone. 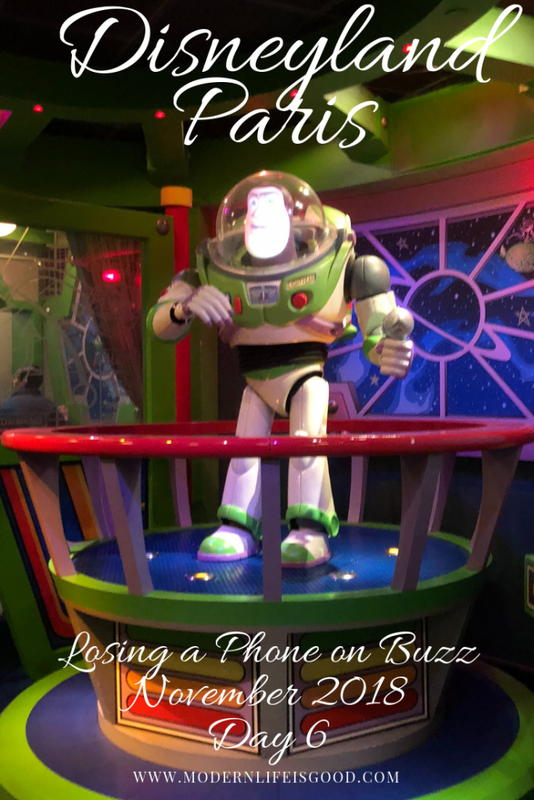 A few minutes later Buzz Lightyear stopped and several cast members ran on to the ride to rescue Jess’s mobile phone. 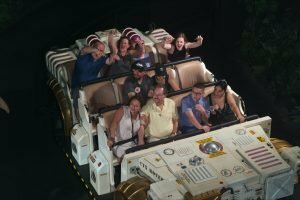 The Cast Members returned with the phone and we thanked them for all their efforts. We then proceeded back to our hotel to catch our, now delayed, taxi to the airport. 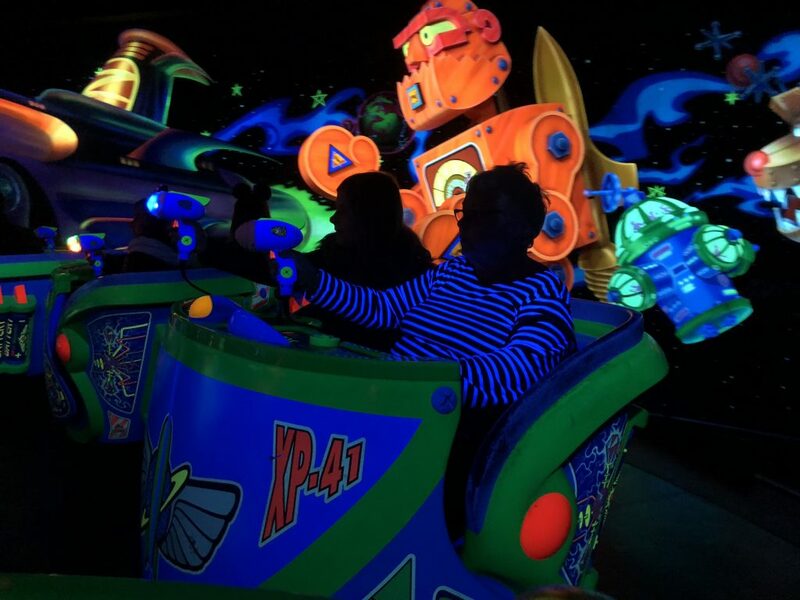 If you were on Buzz Lightyear on 6th November and your ride was interrupted by various cast members running on to the track holding torches it was Jess’s fault…..Sorry about that! Also a big thank you to the Cast Members at Disneyland Paris for retrieving the phone. I have criticised Cast Members at Disneyland Paris on a few occasions in this blog but they were all brilliant today.